In Nebraska, The Columbus Telegram has a fascinating look into the Girl Scout Gold Award Project of Baily Bond. Bond, 15, is working with Horticulturist Harlan Hamernik to cultivate artemisia annua, a plant that cures malaria. 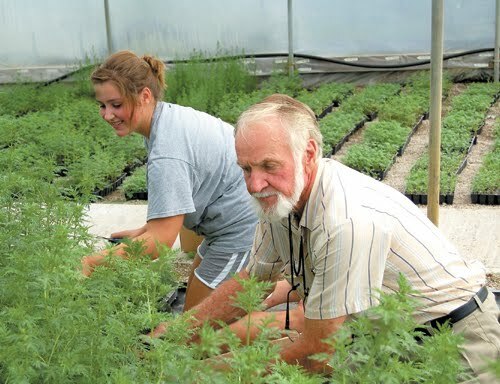 Bond has taken on the task of coordinating nearly 30 volunteers who range in age from 12-18 in the effort to help Hamernik germinate, propagate, cultivate and harvest the nearly 45,000 artemisia annua plants. Moreso, she is working in the hopes that UNICEF will come on board to assist with the shipping and distribution of the first harvest of the malaria plant. Bond will continue the project this summer and she hopes into next summer when she will receive credit for the project to be applied toward her Gold Award. Very impressive indeed. Definitely check out the entire article. Are there any Girl Scout Gold Award Projects you would like to share?